Whats a heat recovery ventilator? At the forefront of innovation, heat recovery ventilators (HRVs) or energy recovery ventilation (ERV) systems transfer heat or coolness from stale exhaust air to fresh intake air. This balanced ventilation solution removes excess moisture, odors, and contaminants while conserving energy and enhancing comfort. “Shut that door your letting all the heat out”, it’s a familiar cry in winter. In summertime it’s just the opposite. NJ Heating and cooling costs are very expensive and rise just about every year. How can you have an airtight, energy efficient home that’s also healthy and well-ventilated? 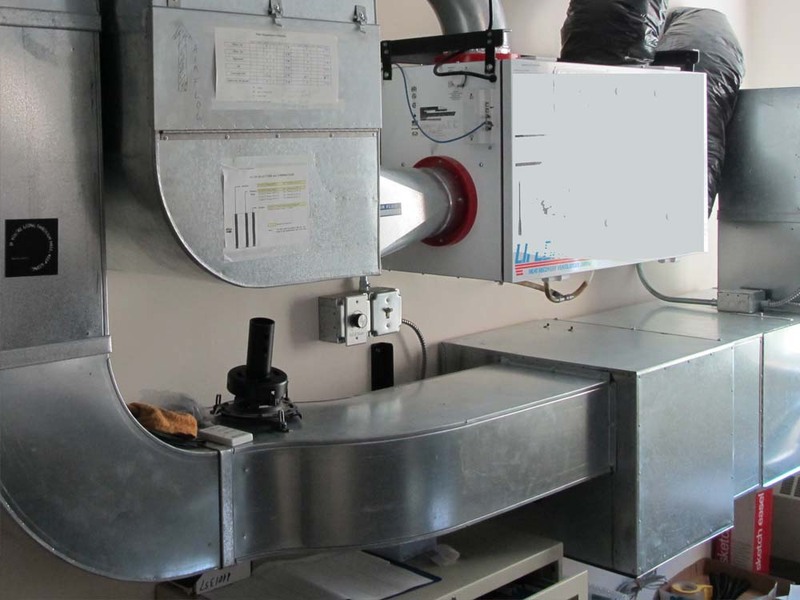 Heat recovery ventilation (HRV) and energy recovery ventilation (ERV) (sometimes also called mechanical ventilation with heat recovery, or (MVHR) offer a solution. 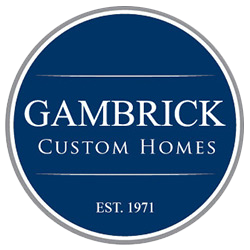 Building in the 1970s, when Gambrick first started building custom homes, was much different than it is today. We happily cranked up the thermostat when it got chilly outside. Energy costs were cheap and no one though about environmental issues. Once energy costs went through the roof we all put on sweaters or tank tops and started looking for ways to save. And, with up to 40 percent of our heating and cooling dollars going to air infiltration, otherwise known as drafts, sealing the place up began to seem like the best defense against high energy bills. Over time, older homes began to sport new, tighter windows and doors. Insulation and vapor barriers made big improvements. Modern siding and caulk for every crack through which air might pass became the standard. New homes were designed to be tight, and home builders became familiar with new materials and skills needed to meet market demand and updated regulations. Homes were finally becoming thermally efficient. What some began to wonder, though, was whether this would have a price. It turns out that those heat robbing drafts had a role in the ecosystem of a healthy home. They provided a constant supply of fresh air to breathe. Without realizing it, builders had been installing an effective, albeit haphazard, ventilation system. If you could afford the sky high energy bills, it worked. Turns out fresh air is a really good thing for you, and stale air isn’t. In this article we’ll answer the commonly asked question, whats a heat recovery ventilator? And a whole lot more. Modern homes are built differently than buildings constructed a few decades ago and are much more energy efficient. One key area of improvement has been making homes more airtight. Making them hold temperature much better by eliminating drafts. But there’s a big drawback to these advances in home energy efficiency. Our homes need fresh air to keep them healthy. Opening doors and windows is the obvious way to get rid of moisture and bring in fresh air, but if you do that in winter you might just as well flush your money down the drain. You’ll have the same problem is summer, keeping the windows open while the AC is on is a great way to waste money. An old drafty house solves these problems by being inadvertently well ventilated. But they cost a fortune to heat and cool due to excessive drafts. Airflow is a great, healthy thing to have in your home but you need control over it. So what to do? Life inside today’s tight new homes generates excessive amounts of both moisture and pollutants. The moisture comes from cooking, washing, showers and breathing. At high levels, areas of excessive moisture can become breeding grounds for mold, mildew, fungi, dust mites and bacteria. You know you have a problem if you find moisture collecting on your windows, or if you notice black spots on walls. These unsightly spots indicate mold and mildew growth. Mold spores and dust easily become airborne and circulate freely throughout the house, possibly causing a range of symptoms and allergic reactions. The whole house heat recovery ventilation system works continuously to extract moist, stale air from wet rooms (kitchens, bathrooms and utility rooms) and supply fresh, filtered air to habitable rooms (bedrooms, living rooms, and dining rooms). Up to 90% of the heat in the extract air is recovered by the heat exchanger in the unit and used to heat the incoming fresh air. On average people spend 90% of their time indoors. So clean indoor air is essential for optimum health. Sadly, many homes and businesses have unfiltered, dirty air. This is where answering questions like, whats a heat recovery ventilator, really come in handy. VOCs, pollen, radon gas, smog, mold, fumes, and odors all degrade home air health. Indoor air pollution can be especially concerning for people who have chronic diseases, compromised immune systems, or mold or chemical sensitivity. Gambrick’s air filtration & ventilation systems help prevent mold growth by exhausting excessive moisture created by showering, cooking, washing dishes, doing laundry, and engaging in other household activities. All molds produce allergens and irritants, and some molds also produce potentially toxic substances called mycotoxins. Although exposure to mold outdoors is rarely concerning, indoor mold growth commonly causes health problems in occupants. Immediate or delayed allergic reactions can be triggered by touching or breathing in mold or mold spores. These reactions include sneezing, a runny nose, red eyes, an asthma attack, and a weakened immune system. Although the connection between indoor air quality and health issues such as asthma, allergies, and respiratory ailments is well documented, the importance of indoor air quality for other general health issues is less understood. Recent workplace studies have demonstrated that indoor air quality affects the ability to concentrate, mood, and anxiety, and longer exposure can even lead to personality changes, impaired memory, and slower cognitive function. After being home sick how many times have you heard, “you need to go outside and get some fresh air”. That’s because good health and fresh air is fairly common knowledge. The two best strategies to boost air quality are keeping pullutants out and diluting whatever get’s inside with a mechanical ventilation system. Gambrick’s systems use filters to remove many pollutants from the air before it enters homes and commercial spaces. High-MERV filters can stop even small particles, including pollen, bacteria, smoke, smog, and mold spores, from entering your home or business. HRV and ERV systems are also designed to exhaust air specifically from bathrooms, kitchens, and utility rooms, where most home pollutants (fumes, particulates, and excessive moisture that can cause mold) originate. Promotes Respiratory Health: A wide range of allergens can irritate or even damage your lungs. These airborne particles can come in different forms, such as pollen, dust, mold, and pest debris. A passive home HRV filters outdoor air and wards off those unwelcome pollutants. Breathe More Easily: The last thing you want is to experience breathing difficulties because of poor air quality. Taking shallow breaths throughout the day can take a toll on your lungs and heart because you are not getting the necessary amount of oxygen your body needs. With a passive home HRV, breathing clean air becomes effortless. Regulated Temperature: A lack of, or excess, of humidity in your home results in an uncomfortable household. Having a high-quality passive home HRV ensures that your indoor temperature is nothing less than perfect. Improved Sleep: Because our respiratory motions change while sleeping, especially during the REM stage. A passive home HRV helps promote normal breathing patterns whenever you catch a few winks. Odor Filtering: Although the smell of onions or your cat’s litter box isn’t exactly life-threatening, bad odors tend to distract you or even ruin your mood. A passive home HRV effectively filters out unwanted smells so that you breathe nothing but fresh air. Most older ventilation systems actually drive up heating and cooling costs. Because they exhaust air without capturing the heat. Much like venting a room by opening a window, ventilation systems can degrade energy performance. Most exhaust fans paired with an older style home can actually pull in unconditioned air through gaps and cracks in the building exterior, creating drafts. This has a huge impact on both comfort and energy costs. HRV and ERV systems conserve energy, lowering utility bills. The heat from the exhaust air is transferred to the incoming air via a heat exchanger. Heat recovery ventilators are up to 95% efficient, saving energy. 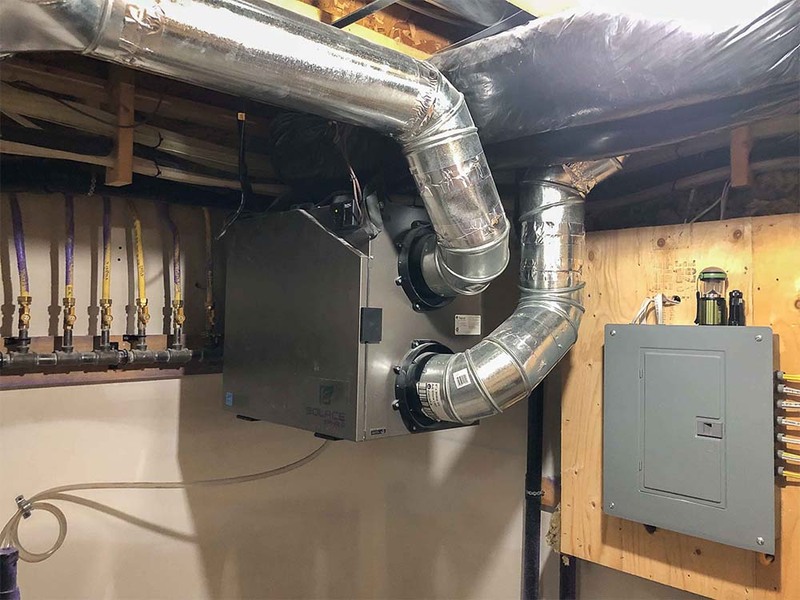 This also helps reduce the size of the HVAC equipment needed because it doesn’t have to work as hard to heat and cool when the intake air is conditioned by the HRV unit. An HRV provides a constant supply of fresh filtered air for the building’s occupants. The higher the heat recovery percentage, the greater the comfort. For example, if the indoor room temperature is 70 degrees Fahrenheit and the outside temperature is 30 degrees, the heat recovery rate could mean the difference between having air in the low 60s coming into the house versus air that is over 65 degrees. Less efficient HRV systems can supply fresh air to living spaces at uncomfortable temperatures. As a result, occupants turn off the unit or use it intermittently. This is a concern because, without the constant ventilation, indoor air quality will suffer. The Passive House Standard, a voluntary standard for ultra-energy-efficient homes and buildings, is at the forefront of energy conservation. In fact, projects built to this standard are 90% more efficient to heat and cool than a typical new building built to the minimum building code requirements. Most Passive House projects feature an ultra-energy-efficient envelope with continuous insulation and meticulous air sealing. Passive House construction in colder climates typically requires triple-pane windows, generous amounts of insulation, and heat recovery ventilation. Because little air is allowed to leak in or out of the building, a mechanical ventilation system is essential to protect indoor air quality. To learn more about the Passive House Standard click Here. Certified Passive House buildings now account for 2 million square feet of building space in North America, a threefold increase over 2015. We’re one of the few custom builders in New Jersey trained in Passive House design and construction. Our heat and energy recovery ventilation systems are certified Passive House components used in mixed-use buildings, new homes, and retrofit projects. The load requirements for heating and cooling systems are greatly reduced or possibly eliminated when following the Passive House standard. This drastically reduces your heating and cooling costs by as much as 90%. Also, the operation and maintenance costs of a Passive House are typically much lower, because of the decreased utility costs and the durability of components. HRV systems are commonly found in other types of green buildings, including those with Leadership in Energy and Environmental Design (LEED) certification. As a prerequisite in the LEED for Homes program, a project must “design and install a whole building ventilation system that complies with ASHRAE Standard 62.2-2007,” a standard developed by the American Society of Heating, Refrigerating and Air-Conditioning Engineers that details ventilation rates and strategies for healthy homes. In addition, LEED for Homes awards two points to projects that go beyond basic ventilation measures and “install a system that provides heat transfer between the incoming outdoor air stream and the exhaust air stream.” An additional point can be earned by projects that undertake commissioning to verify that ASHRAE 62.2 ventilation requirements are being met by the ventilation system. To learn more about Passive House construction click HERE. Proper HRV system sizing, design, layout, and commissioning are essential for optimum HRV function and durability. It’s essential that the ventilation and HVAC systems are separate and do not share duct work. This ensures proper airflow rates and energy efficiency. Gambrick’s ventilation experts are available to help design the best system for a given project. Including sizing the HRV system and laying out the ducts. Properly designed and installed systems are much more effective in improving air quality. Imbalanced systems can decrease the efficiency of an HRV from around 90 percent to around 60 percent. That results in an average four times more energy loss. The American Society of Heating, Refrigerating and Air-Conditioning Engineers (ASHRAE) sets the standard for residential ventilation at a minimum of .35 air changes per hour, and not less than 15 cubic feet per minute (cfm) per person. An old home may very well exceed these values. Especially on a windy day. However, on a calm winter day, even a drafty house may fall below the recommended minimum ventilation standard. There are partial solutions to the indoor air-quality problem. For example, an electrostatic filter installed in a forced-air heating system will reduce airborne contaminants, but it won’t help with moisture, stale air or gaseous pollutants. And, local exhaust fans can remove excess moisture in the kitchen, bath and laundry area, but create negative pressure inside the house. As they pump air out, the resultant vacuum slowly draws air into and through the house structure. Bringing with it odors, dust and contaminants. In areas where radon is a problem, the negative pressure may increase radon levels. A better whole-house solution is to create balanced, controlled ventilation. This way, one fan blows the stale, polluted air out of the house while another replaces it with fresh. A heat-recovery ventilator (HRV) is similar to a balanced ventilation system. The main difference being it holds and re-uses the heat rather than wasting it. A typical unit features two fans—one to take out household air and the other to bring in fresh air. What makes an HRV unique is the heat-exchange core. The core transfers heat from the outgoing stream to the incoming stream. This works in much the same way that the radiator in your car transfers heat from the engine’s coolant to the outside air. It’s composed of a series of narrow alternating passages through which incoming and outgoing air streams flow. As the streams move through, heat is transferred from the warm side of each passage to the cold. Depending on the model, HRVs can recover up to 85 percent of the heat in the outgoing air stream. An HRV contains filters that keep particulates such as pollen or dust from entering the house. Although an HRV can be effective in the summer months. When it takes heat from incoming fresh air and transfer it to stale air-conditioned exhaust air. It’s most popular in colder climates during the winter. A typical HRV for residential use might move as much as 200 cfm of air, but the fan speed can be set to suit the air quality in the home. For example, a slow to medium fan speed may be adequate for normal living, while a house full of guests might require the highest setting. Controls are available for intermittent and remote operation. HRVs are ideal for tight, moisture-prone homes because they replace the humid air with dry, fresh air. In climates with excessive outdoor humidity, an energy-recovery ventilator is more suitable. This device is similar to an HRV, but dehumidifies the incoming fresh air stream. What’s the difference between HRV and ERV? Not all HRVs work in exactly the same way. 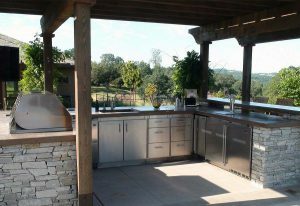 An alternative system called energy recovery ventilation (ERV) works in a similar way but transfers some of the moisture from the outgoing airstream into the incoming air, so it keeps the humidity in your home at a constant level. That’s important if you don’t want your home too dry. As a general rule, ERV is a better option if you have air conditioning and live in a humid climate, because it will help to keep moisture outside, reducing the load on your air conditioner and saving on the air-con bills. HRV is often better if you don’t have air conditioning, or live in a less humid climate, since it will help keep the humidity down by transferring excess indoor moisture outside. What Are The Advantages & Disadvantages of HRV? HRVs and ERVs have an obvious appeal: they give you a warm well ventilated home and save you money. In winter, they can help save on your heating bills; in summer, they reduce the need for air conditioning. By keeping excess moisture out of your home, they’re better for your building, your furnishings, and your health. And they help to keep the “climate” inside your home at a more constant level. Typically they retain about 90% of the heat that would normally be lost from your home through ventilation, so they really do save energy. How much energy? According to British environmental auditor Nicola Terry’s calculations, HRV can safely cut the number of air changes per hour in a “leaky house” by about 50 percent, reducing the energy lost through ventilation by about 65 percent. A small amount of this energy is used to power the electric fans in the HRV system (typically about 50–100 watts, and as high as 300 watts in some cases), but there’s still a considerable energy saving. On the downside, HRVs are expensive to install initially. Long term savings will vary based on where you live. You’ll see most benefit in extreme climates. Where the difference between the outdoor and indoor temperatures is greatest in summer, winter, or both. In milder climates, the benefits are much reduced and may, in some cases, be nonexistent. Here is NJ, expect to see long term savings since we have cold winters and hot summers. HRVs need regular maintenance just like a typical air conditioner, with filters that generally need cleaning or replacing every 6–12 months. Passive House is the most energy-efficient building standard in the market today. Better than Leed, better than Energy Star®, better than every other standard we’ve got. Best of all it’s a verified standard. Because in order to become a certified Passive House, the finished building has to be tested to ensure that it actually meets it’s design goals. No other energy standard requires this. Not one. Developed over the past twenty years by the PassivHaus Institute in Germany. It’s become the highest benchmark for sustainable, energy efficient construction in the world. 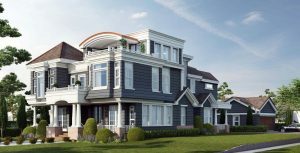 As a NJ Passive House builder we can design and build a home or retrofit an existing one to Passive House standards and obtain a certification through PHIUs or other similar rating organization. Passive House construction produces buildings with superior indoor air quality and thermal comfort while reducing heating and cooling energy use. Passive House buildings are super insulated and virtually air tight, requiring minimal energy for heating and cooling. Because of all this a typical Passive House consumes 90% less heating and cooling energy and has 70% less overall energy consumption than a standard home. The Passive House standard can be applied to any building type, including single and multi-family homes, commercial or residential buildings, hotels, schools, and restaurants. The Passive House Standard creates buildings that are so energy efficient they don’t require conventional “active” heating and cooling systems. This is achieved without compromising occupant comfort or building aesthetics. It’s the most cost effective method of building near-zero energy residential or commercial structures. Passive House Standards build upon experience with early passive solar design, super insulation, and low energy projects in North America and Europe during the 1970’s and 1980’s. It relies on three key but simple requirements: low air infiltration, low energy consumption for heating & cooling, and a low overall energy budget for the building. Click HERE to Learn more about building a Passive House. What Color Siding Goes With Red Brick?